ElasticSearch At Petabyte Scale on AWS — An interesting glimpse into the practicalities behind managing a fleet of ElasticSearch clusters, some topping over a petabyte of storage. NoSQL Data Stores in Research and Practice — A very extensive slidedeck covering NoSQL foundations, motivations for its use, plus NoSQL tools and database engines themselves. Bleve: A Full Text Search Database in Go — Bleve is an open-source full-text search database that focuses on performance low memory use. It supports numerous KV stores for its backend. Working With View Models in RavenDB — Modern app developers often work with conglomerations of data cobbled together to display a UI page. In this article, we'll look at different ways to work with view models in RavenDB, and offer practical advice on when to use each approach. Aleph: A Redshift Data Analysis App — Makes it easy for users to write SQL (complete with schema autocompletion) and get results from Redshift datasets. ArangoDB 3.0 Released — ArangoDB is a multi-model DB supporting three major NoSQL data models out of the box. It has reached a major milestone with version 3 with improved clustering and 5x performance. How deadlines should be used in software engineering — Keen IO's co-founder and chief product officer, Ryan Spraetz walks us through how he uses deadlines in engineering to build an event-database that processes trillions of events daily. We're Happy with SQLite & Not Urgently Interested in A Fancier DBMS — It is a local, single user app, however. 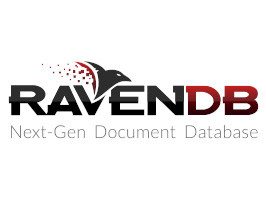 On Why RavenDB Is Written in C# — RavenDB is an open source .NET database.